Terrapin 3 Acquisition Corporation (NASDAQ: TRTL, TRTLU, TRTLW, “TRTL”) announced that it completed its business combination with Yatra Online, Inc. (“Yatra”), a rapidly growing, India-based online travel agent. The transaction was unanimously approved by the boards of directors of both companies and was approved by a vote of TRTL’s shareholders on December 12, 2016. With the closing of the transaction, TRTL has become a partially owned subsidiary of Yatra and all shares of TRTL Class A Common Stock will be automatically exchanged for Yatra’s ordinary shares on a one-for-one basis and all warrants to purchase shares of TRTL Class A Common Stock will automatically become warrants to purchase Yatra’s ordinary shares on the same terms. Yatra’s ordinary shares will be traded on the NASDAQ Stock Market under the symbol “YTRA” beginning Monday, December 19, 2016 and Yatra expects its warrants will be traded on the OTCQX market under the symbol “YTROF” in the near future. Yatra is one of the fastest growing consumer travel platforms and the second largest online travel agency in India, one of the fastest growing economies in the world. Founded in 2006 by venture capital firms and experienced travel industry and technology executives, Yatra is a leading consolidator of travel products. Yatra has India’s largest hotel network of 61,000 hotels. With more than four million customers, Yatra has emerged as the most trusted e-commerce travel brand in India, as ranked by The Economic Times. To further accelerate its growth, Yatra has entered into a strategic relationship with an affiliate of Reliance Industries Limited, one of India’s largest conglomerates, in which Yatra’s mobile app will be pre-installed on up to 35 million Reliance Jio LYF smartphones over the course of the next 36 months as Reliance launches one of India’s largest 4G mobile networks. Terrapin 3 was founded by Nathan Leight and was co-sponsored by affiliates of Terrapin Partners and affiliates of Macquarie Group Limited. Mr. Leight and Terrapin successfully created two previous blank-check companies: Aldabra Acquisition Corporation, which became Great Lakes Dredge and Dock Corporation in 2006 in a transaction of approximately $414 million and Aldabra 2 Acquisition Corp., which became Boise Inc. in 2008 in a transaction of approximately $1.6 billion and was subsequently acquired by Packaging Corp. of America in 2013. We were also co-sponsored by an affiliate of Macquarie Group Limited (“Macquarie,” Australian Stock Exchange: MQG). 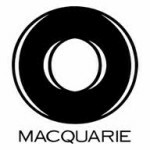 Founded in 1969, Macquarie operates in more than 70 office locations in 28 countries, employs approximately 13,900 people and has assets under management of more than $394 billion (as of March 31, 2014). Macquarie had committed to invest an additional $40 million at the time of our initial business combination, providing incremental proceeds to a seller and working capital to the combined business. Aldabra Acquisition Corporation (“Aldabra 1”). Aldabra 1 raised $55.2 million in 2005 and acquired Great Lakes Dredge & Dock Corporation (NASDAQ: GLDD) in 2006 for approximately $410 million. 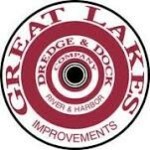 GLDD is the largest provider of dredging services in North America. GLDD conducts approximately 25% of its operations internationally with a strong focus in the Middle East, Australia and Brazil. Aldabra 2 Acquisition Corp. (“Aldabra 2”). Aldabra 2 raised $414 million in 2007 and acquired certain paper and packaging businesses from affiliates of Boise Cascade Company in 2008 for approximately $1.6 billion that were subsequently listed on the NYSE as Boise Inc. In October, 2013, Packaging Corp of America, Inc. completed the acquisition of all the common shares outstanding of Boise Inc.